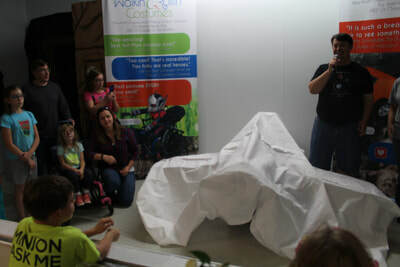 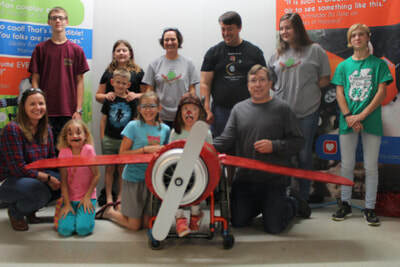 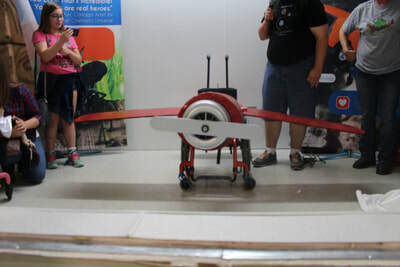 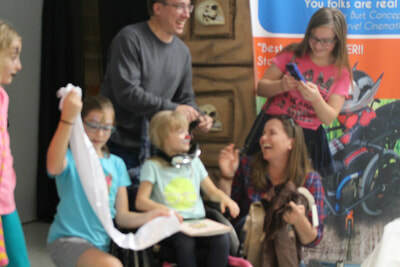 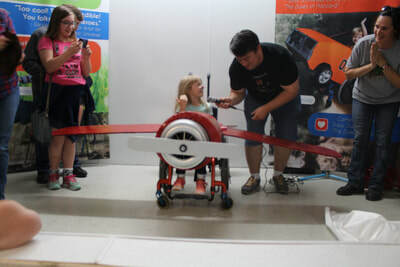 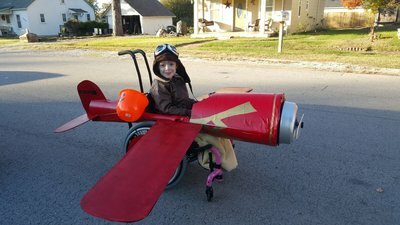 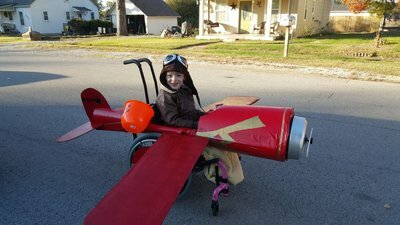 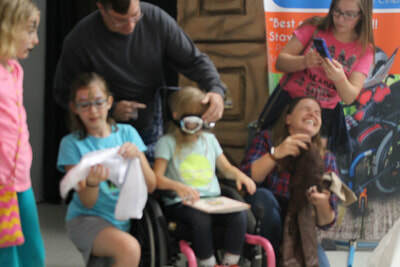 This is the "Amelia Earhart" Wheelchair Costume designed and built for 5-year-old Madi. 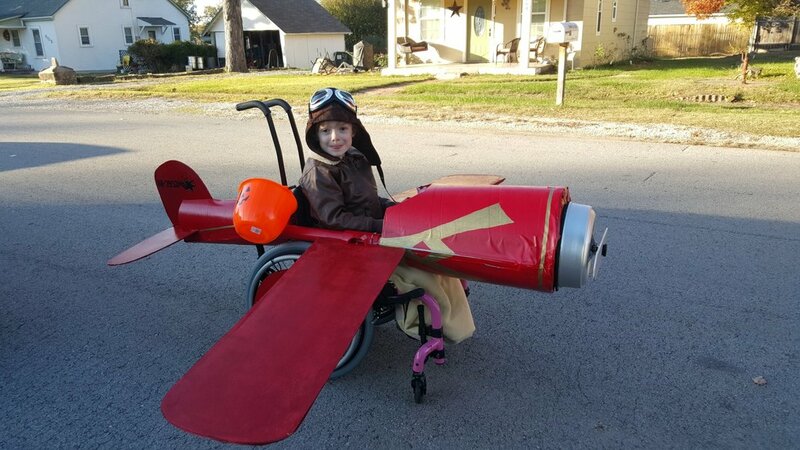 The costume was built by the Prairie Fire 4-H team in Kansas City, Kansas. The reveal was made during our annual "Walkin' & Rollin' Twisted Halloween Party" in 2017. 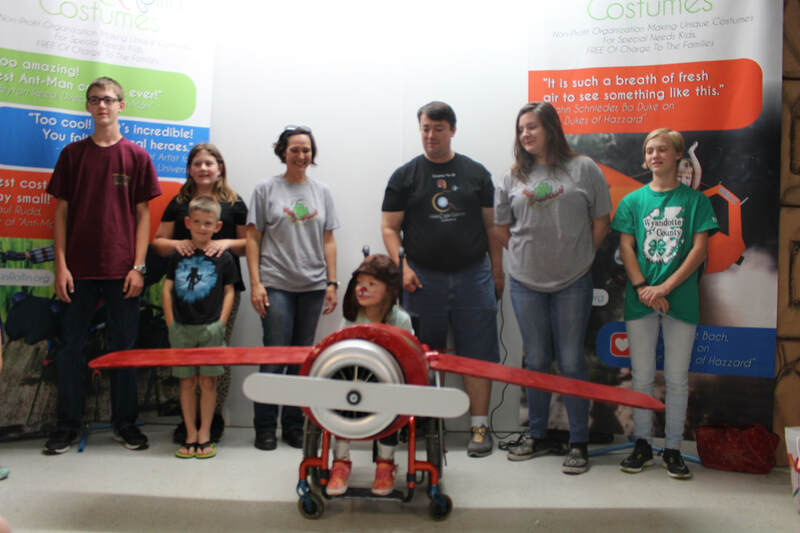 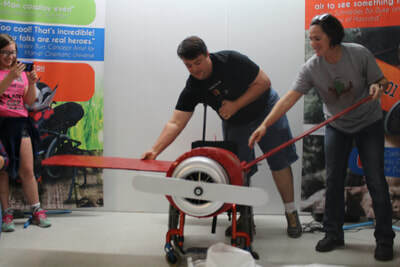 The costume was designed and built by the Prairie Fire 4-H group in Kansas City, Kansas.